I have recommended 3 Online store solutions here. 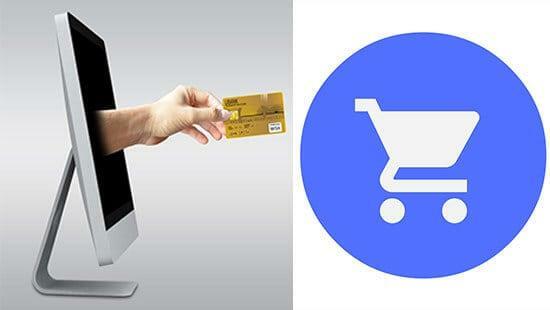 If you want to build an online store the following are the ecommerce software solutions that I recommend for new stores. WooCommerce : The two ecommerce solutions above, requires a monthly subscription. WooCommerce is free to use. It is a WordPress plugin. You still need to buy webhosting though. (Check out the Web Hosts I recommend) . Read more information about the above mentioned ecommerce software solutions below. You may use any of these solutions to build your online store. Shopify is a hosted ecommerce solution with over 500K Merchants. You can simply create your account and start creating your store. Of the 3 , in my opinion, it is the most user friendly. It is stable. Without repeating myself, I wrote a long post about why I recommend Shopify for new online sellers. BigCommerce is like Shopify. It is the best alternative to Shopify. It has over 250k Merchants selling on the platform. It also has amazing themes and has an intuitive user interface for new users. Just like Shopify, creating your store is pretty easy. You can start a free trial and build your store. Woocommerce is a FREE WordPress plugin used by millions of people to run stores all over the web. Once you get your web hosting account, install WooCommerce. Then build your store . There are lots of WooCommerce Tutorials here on Udemy. These tutorials will show you how to build your own online store. It is very easy to learn. WordPress is a very user friendly CMS therefore using WooCommerce is also easy and it’s quick to learn. Below are the four Web Hosts I recommend. Get your account . Install WordPress, activate WooCommerce and start adding your products and build your new online shop. There are also other ecommerce software out there. In fact there are so many of them. If you want to build an online store and sell your products, then the above are my recommendations to you. If you want to do dropshipping, here are a bunch of Tutorials about dropshipping.